ARDSLEY, New York (WABC) -- A tree toppled down on Metro-North's tracks in Westchester County Wednesday night. 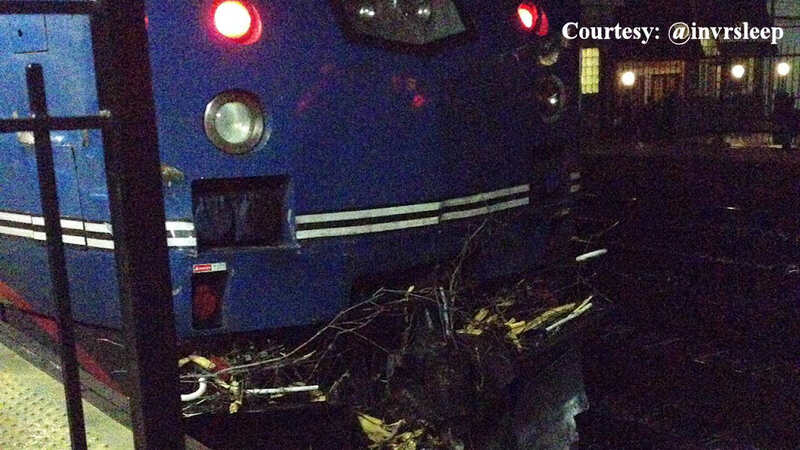 It happened near Ardsley around 9:15 p.m.
A northbound train, the 9:05 p.m. to Poughkeepsie, crashed into the fallen tree and sustained some damage. Passengers waited for another train to arrive at Irvington Station and then continued on to their destination.